Sirley Silveira Paixão, center, an immigrant from Brazil seeking asylum, waits with Lidia Karine Souza, left, who recently was reunited with her son Diogo De Olivera Filho, right, from an immigration detention center in Chicago, on June 29, 2018. A lawsuit was filed in U.S. District Court in Chicago on Monday on behalf of Paixao and asks for the release of her 10-year-old son, Diego, to his mother. Paixao and her son arrived in this country from Brazil on May 22, and were separated shortly after. Just days after a federal judge ordered the release of a Brazilian boy from a Chicago-area shelter, immigration lawyers from Boston filed a second lawsuit asking the same court to free yet another Brazilian boy. The lawsuit was filed in U.S. District Court in Chicago on Monday on behalf of Sirley Silveira Paixão, 30, and asks for the release of her 10-year-old son, Diego, to his mother. Paixão surrendered herself and her son for asylum at the border of the U.S. and Mexico on May 22. When Diego became ill with a 103-degree fever, the boy and his mother were taken to a hospital, where Paixao said she was told he would need continued observation. They've been separated since May 24. A Brazilian mother and 9-year-old son separated at the U.S.-Mexico border were reunited Thursday after a federal judge in Chicago ordered the U.S. government to release the child, saying their continued time apart "irreparably harms them both." NBC 5's Ash-har Quraishi has the story. "It was just the worst moment of my life," Paixão said. "I had impression I would never see him again." She was released on June 13 and has been living in Massachusetts. The boy was taken to the Chicago area, and to the same shelter where Diogo De Olivera Filho was held before a judge ordered his release last Thursday. At Saturday's Rally Against Family Separation in Boston, Paixão sobbed openly onstage as she described being separated from her son. "Please," Paixao said, "give my son back to me." 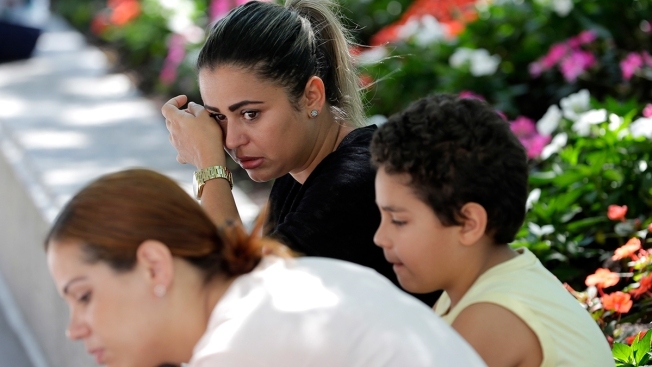 Jesse Bless, an attorney for both boys' mothers, had hoped Diogo's release would prompt authorities to also hand over Paixão's son without a lawsuit, but authorities declined. The second lawsuit, much like the first, makes the claim that Diego cannot be held on grounds of being an "unaccompanied minor" because he was with his mother when he entered the country. The lawsuit, which claims that detaining the boy is unconstitutional, also states that Paixão has filled out all appropriate paperwork and submitted fingerprints. The lawsuit also said federal authorities have deemed Paixão's claim of facing danger in Brazil — her reason for seeking asylum for herself and her son — as credible. Bless said he is hoping for a hearing later this week but that it could be delayed by the July Fourth holiday.